We have always believed that the product has to be so good, that it sells by itself and we do not have to go and sell it. Indian market is still not ready for making extremely large purchases online due to the fear factor, though transactions between Rs 8,000 – Rs 50,000 is fine, anything beyond that the customer wants to have the trust factor. This is the reason why we have opened our first lounge in Mumbai. So the trust can be established that we are here to stay. iGrow: What will be the USP of the company? What all are you bringing on board for consumers? NR: We are the first company to offer 100% customisation i.e., you buy what you like, you do not find it – then we will design it based on your preference, however other sites are focused entirely on Sales but we are focusing on customer experience. This is the reason if you check our parent company reviews for the past year http://www.trustpilot.co.uk/review/www.diamondsfactory.co.uk we have 5 star ratings. iGrow: Jewellery, a little heavy on the pocket product right now for Indian consumers, what is your take on the consumption patterns in India? NR: Average ticket size for masses ranges from Rs 8,000 to Rs 12,000 and is extended to Rs 35 ,000. We are working on designs to meet the demand that exists for India for online. For high end buyers who are thinking to buy expensive products, our jewellery experts on the call centre are taking care of their queries, scheduling appointments, meeting them and explaining how to buy diamonds. The idea is not to sell, but to educate customer before they buy. iGrow: Indian e-retail scenario is bombarded with players, how do you see your business making a mark? NR: There are hardly any major player in the field we are in. Competition is a healthy sign and is good for the business, keeps you on the edge. If we have been able to meet the highest quality standards worldwide with 5 star reviews in the last five years, I am sure we are going to stick to the same practises in India as well. iGrow: What will be your business strategies for India? Also share your marketing strategies? NR: We are taking an organic approach in the Indian market and not spending heavily on marketing. Our approach is to spend the next year in educating customers online of how to buy online and spread awareness. In India, people will buy jewellery and go to the next door jeweller to find out if the product is rightly priced or not, when they experience us and get the best price, this would establish the trust factor. Nothing beats word of mouth publicity. iGrow: Who will be your target audience? NR: We have identified two kinds of audiences. One is the young audience who is currently buying artificial or imitated jewellery for Rs 3,000 to Rs 5,000, getting them upgraded to buy precious jewellery starting from Rs 5,000 onwards. As precious jewellery is an investment as well. Second and our core is Engagement Audience – People who are going to get married and looking for engagement rings, this is the audience we are looking to target. iGrow: Does the brand internationally run offline stores? Do you see offline stores as forward integration in India? NR: Yes, we have stores internationally where you can touch and feel the product and get comfortable before you buy. Yes, this is part of the strategy, we plan to have offline stores as forward integration in India. iGrow: Share more details about the product offerings and pricing strategies? NR: Consumers can choose any product, along with opting or replacing among gold, platinum or silver. If you like a design you can have the same product for 36,000 or 5,000 by simply changing the raw material. We have an open pricing and everything is transparent. 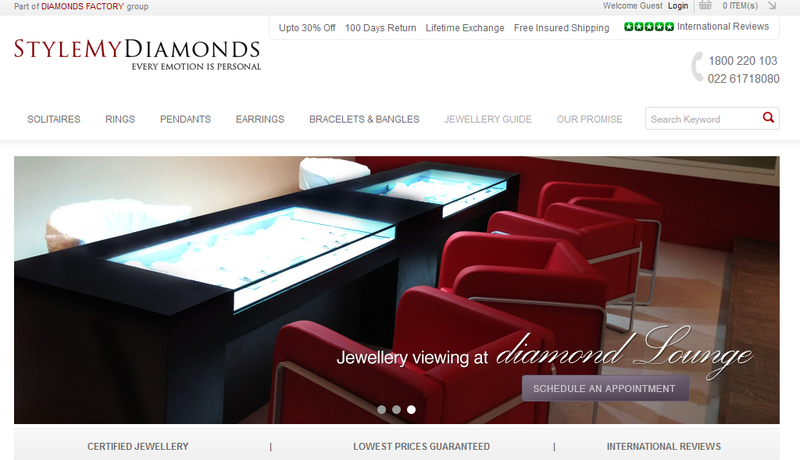 iGrow: Why buy jewellery online? 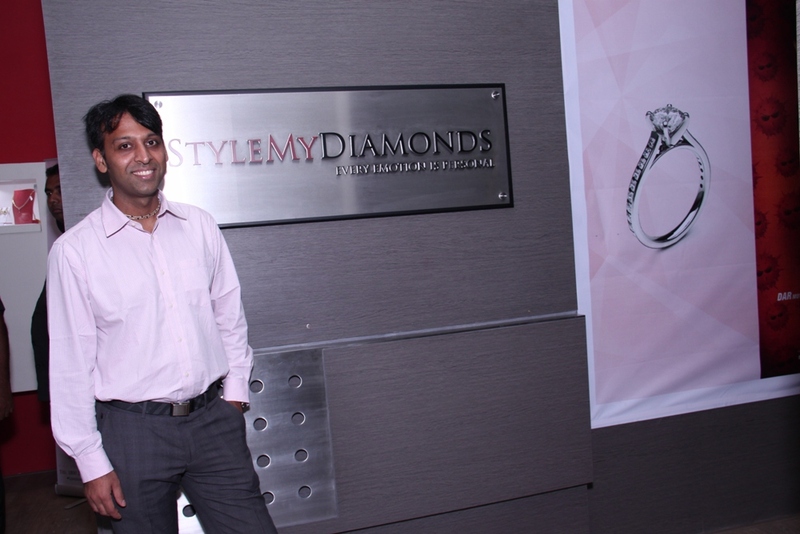 NR: With stylemydiamond consumers get an option to choose from 100,000 diamonds of various sizes, the combined value will be worth Rs 1000+ Crore that one will not find that option with a retail store. Moreover, you get up to 30 per cent cheaper than retail and we also offer 100 Days Return policy, which is not the case in retail store. iGrow: What’s the strategy and take away targeted withing first year of operations? NR: Educating customers and spreading awareness is the target for the first year, establishing trust is of prime importance.